Casey James was a finalist from "American Idol" season nine. Published April 27, 2018 at 12:21 p.m.
"Life will throw things at you that you think you'll never recover from or that you'll never get over. But the truth is, there's always something better down the line," Casey James said after describing an accident that nearly took one of his arms and one of his legs. Wise words – and words that set the tone of his show as one filled with joyful gratitude. I wasn't sure what to expect from Casey James coming into Thursday night's set at The Fire Pit Sports Bar & Grill at Potawatomi Hotel & Casino. But I was sure hoping for a ton. Like a lot of "American Idol" contestants who make it into the top 10 but don't clinch the ultimate spot, people tend to lose track of where they've been and where they're going. And for my part, I lost track of Casey James. He signed a recording contract with Sony after "American Idol," season 9. He recorded and dropped his first album, "Casey James," which reached number 2 on the U.S. Country charts. After dropping his first single from his second album, he and Sony parted ways. Country just didn't seem like James's thing. James picked himself up, dusted himself off and went back to his first musical love: blues. And man oh man, his latest album, independently published and largely funded by his fans through a Kickstarter project, is pure Casey. His blues is infused with rock, swing, metal and some old school honky-tonk country. Unequivocally, James delivered everything I hoped for and more. And that was a toe-tapping, finger-snapping, hand-clapping performance that left me grinning from ear to ear. One of the great things about shows at The Fire Pit is that the opener is almost like a co-headliner getting to lay down nearly a full set. 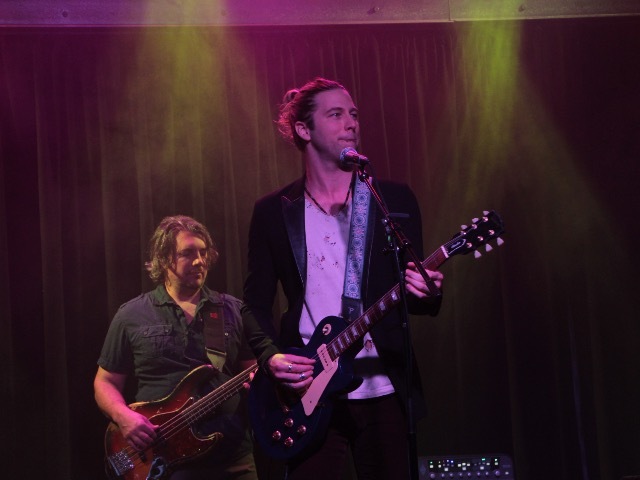 Thursday night Casey James brought local country and Americana singer-songwriter Jay Matthes with him. It couldn't have been a better pairing. 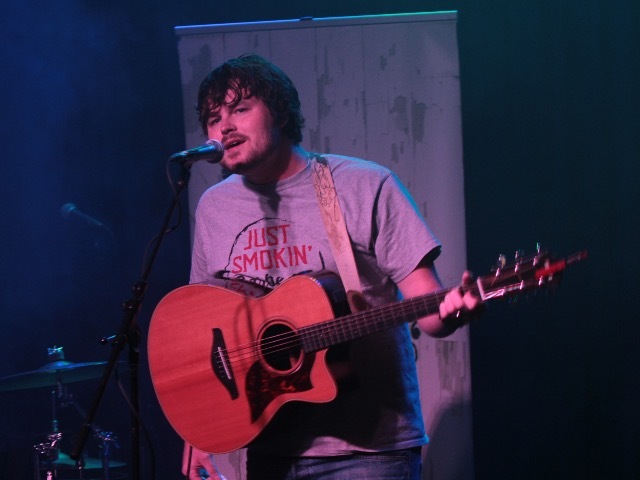 Matthes has been writing original songs since high school and has been involved in pretty much every musical genre there is, but he says that his style of country and Americana chose him. "What I'm playing now just feels the most like me. I've always strived to be true to myself in what I play and the music I write. The music is best," he says, "when you aren't trying to be someone you're not." Sound familiar? Matthes' twelve-song, nearly hour long set included a ton of songs from his latest album. "Dancing After Dark" which Matthes describes as everything you need to know about him in 12 songs. And if that's true, then he's a stand-up guy with a deep love for family and good times. Of true note is that Matthes' set was completely acoustic. Which maybe doesn't sound impressive until you listen to his catalogue and realize that a lot of his songs having bass and drums that carry and move those songs along. But he killed it pulling rhythms from that guitar that I didn't even know were possible – especially on songs like "Who Found the Whiskey," "The Light" and "American Kids." He's also hilarious. Check out the video for "Who Found the Whiskey," a bawdy true story about drinking all his roommates liquor. My favorite song, though, had to be the title track off his most recent album, "Dancing After Dark." The song follows a family after the death of their father. It's slow and tragic and lets you look into Matthes's soul. So painfully beautiful. If he's not in your playlist, he definitely should be. To say it's beautiful is to totally miss the mark here. Matthes' music is beautiful and soulful and peaceful, but it's also filled with protective romance. (You know the kind where the guy is actually the guy every girl dreams about? Yeah, that.) It's full of energy and sadness and hope and joy. Then, in a holey, ratty, not-so-clean, sort-of white T-shirt and hair in a bun, Casey James took the stage looking a like a man ready to settle in for a super intense, extended and exuberant jam session – which is exactly what he did. At times, it felt like we were being transported back to a 1970s blues club. At other times, like we were in a back road honky tonk. With the overall result being a night of killer infusion blues. James kicked off his set with a rowdy version of "Messin' Around" and flew from there, interacting with the crowd often – to tell a story, to ask a question, even to walk out with his guitar and jam in the audience. And they returned the love. By the end, a bunch were up crazy dancing. After some initial issues with sound, James fell into his own with his band (four pieces – bass, drums and keys, plus James and his guitars – and all insanely talented) and led the audience on a journey through the bluesy wonderland of his latest album, "Strip It All Down." One of my favorites was "I Got to Go." He did, though, pull a few songs from his self-titled first album: "Let's Don't Call It a Night," "Drive" and "So Sweet." Even if his foray into the country genre wasn't the most favorite part of James' musical career, he still takes ownership of it. There was nothing in his performance of songs from that period that suggested otherwise. I always find it fascinating when an artist takes requests, which he did Thursday night, namely because they haven't prepared or practiced a song – and who knows when the last time they actually played it was. While James was out playing in the crowd, someone requested "Drive," and the band laid into it like they'd practiced it just hours before. Not my favorite James song, but superbly executed on the fly. James also played the first song he wrote for the new album, "Stupid Crazy." It was so smooth and so happy-go-lucky, I was literally grinning. While I'm totally into James' original music, I just have to say that he lit up the night with the four covers he performed. While no one will ever do Ray Charles like Ray Charles, James put his own spin on "Hit the Road Jack," making it 100% his but leaving you still able to sing along and swing along. He also did "My Babe," a Little Walter cover that was just so hot. He also buried a version of Willie Nelson's "Need Your Love So Bad." He closed with a rocked up version of Tab Benoit's "So High" and the finish couldn't have been better. Two guys, two brilliant sets, both putting their hearts on their sleeves and laying it all on the line. Such a great show. Casey James will be back at The Firepit with Nashville songwriter Nora Collins on Friday and Saturday. Jay Matthes will drop a set at The Brass Tap in Greenfield on Saturday night. "Hard Time, Heartaches & Scars"
"She Holds on to Me"